Recent studies have shed light on what makes baby skin so different. Baby skin is very "active" — it's constantly continuing to develop. It's more vulnerable to irritants, changes in temperature and changes in humidity. Therefore, you need to protect your baby's skin against environmental changes and harsh cleansers. Your baby’s skin barrier is his first line of defense from the outside world. To remain healthy, it is important for the skin to be properly hydrated. Be sure to keep his skin moisturized to help protect against dryness. Although critical, skin care for babies doesn’t have to be complicated. 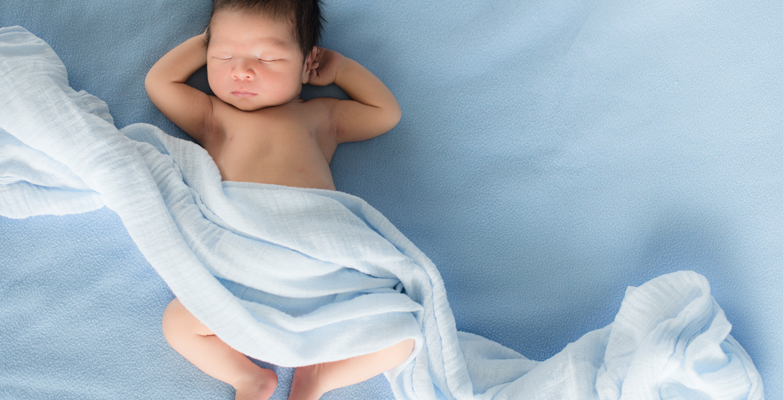 Learn how this simple method can help keep baby’s skin nourished and healthy. As you find yourself washing his face and hands more frequently, now's a good time to transition to a cleanser that restores moisture while gently cleaning his skin. JOHNSON'S® baby milk bath is specially formulated to gently cleanse with mild moisturizers. And it has that wonderful, familiar "baby clean" smell of JOHNSON'S® baby milk lotion . Keep an extra bottle in the diaper bag for whenever you're on the go. Your baby’s skin absorbs water quickly and can lose water faster too! That's why regularly moisturizing your baby's skin is a good way to protect against dryness. JOHNSON'S® baby milk lotion is clinically proven to strengthen and protect baby’s skin as it moisturizes for up to 24 hours, keeping baby’s skin smooth and healthy-looking. Watch this demo to see how JOHNSON’S® baby lotion performs against the competition. Then see its 24-hour moisturization tested on dates and apricots. Your baby's skin will change rapidly throughout his growing years. It needs extra protection to keep it clean, moisturized and healthy. Remember, healthy skin is not just an aesthetic nicety. Healthy, properly hydrated skin forms a barrier against bacteria and other infections. So start now to safeguard your baby's healthy skin for a lifetime. As your baby grows, so will his teeth! BabyCenter® shares how to brush his teeth and how to help him start brushing on his own.